Hooray! Today is the launch day for the newest edition of the Garden Therapy Seed Collection DIY Kits. And, this one is all about BEAUTY. Adding beauty to your garden and learning how easy it is to harness that beauty. When I was going through my rehabilitation program of gardening and healthy living, the first thing I did was look at the products I used and ask how they helped or harmed my body. I looked at what I was applying to my skin and I asked myself if the ingredients were doing me good or harm. If you have been following me at Garden Therapy, you will have heard me say time and time again that what goes on your skin is just as important as what goes in your body. Your skin is your largest organ and it absorbs so much of what you put into it. Think of how nicotine and pain dermal patches work: the medication/drug is applied to the skin and it is absorbed into the bloodstream. This same thing happens with lotions, soaps, and other beauty products that we apply to our bodies. The research says that mass-produced skincare products are tested by government drug agencies and deemed safe. That seems reasonable; they are safe because our bodies are wonderful biofilters. When our bodies work correctly, we are able to filter out chemicals that are not useful or, worse, toxic. And because we are awesome at getting rid of junky chemicals from our bodies, in most people, there won’t be side effects. But what if what we put on our bodies was not just something healthy people could handle and filter out, but instead plant-based ingredients that would heal, repair, soothe, and enhance your body? This is what the whole movement towards eating real food is about. It seems that people unquestionably understand that fresh fruits and vegetables are better for you than a box of packaged/processed food filled with unrecognizable ingredients. But as a whole, we are a bit less willing to see plant-based skincare in the same way. The good news is that plant-based beauty is EASY to make at home, with ingredients you can FEEL GOOD about. 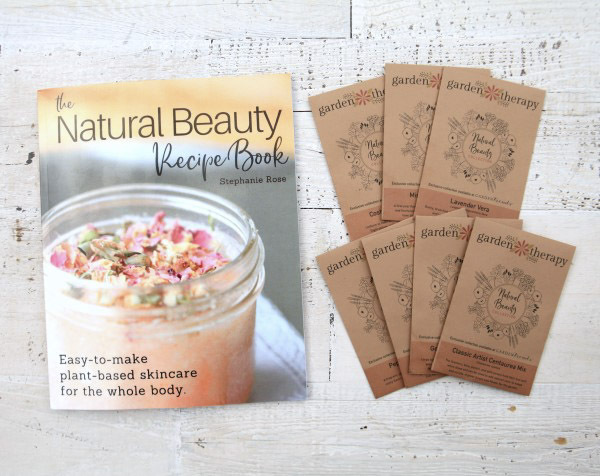 A few years ago I put all of my everyday recipes using plants and natural ingredients into a book called the Natural Beauty Recipe Book. All of the recipes are ones that I have been using at home with my family. They are simple to make, without any really strange ingredients, and no special tools needed. Most of everything can be purchased inexpensively online or at a local natural food store. The book comes with access to an online resource guide that I update regularly so you can find what you need without hunting around. The only ingredients that I prefer not to buy are those that you can easily and inexpensively grow in your garden, like mint, lemon balm, calendula, lavender, cornflower, and sunflower. Get the Natural Beauty Seed Collection DIY Kit here, exclusively at GardenTrends.com. These limited edition kits are only available until sold out – get growing today! 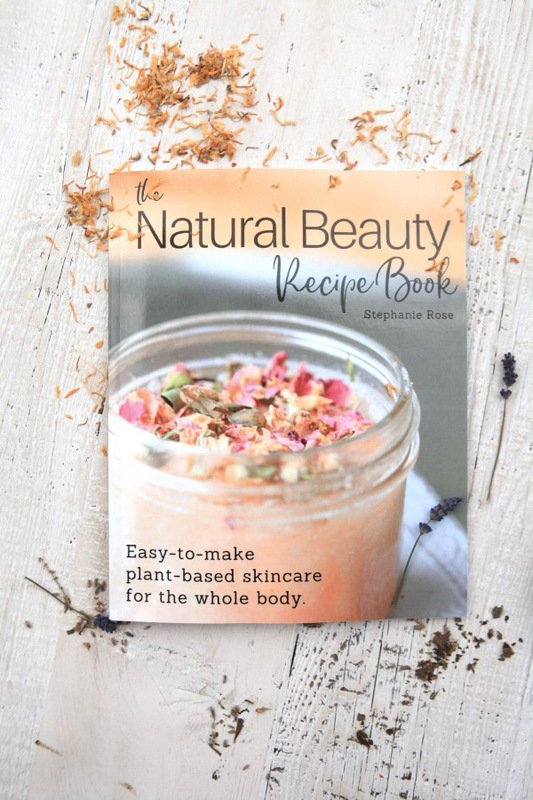 Until now, the Natural Beauty Book was only available as a digital eBook. 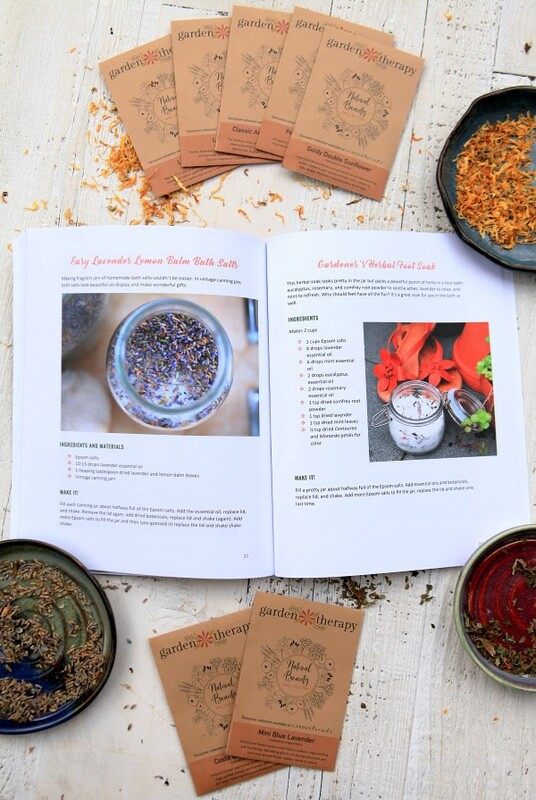 Today, I’m thrilled to share that I have worked with GardenTrends to create a print copy of the book along with a collection of seven seed varieties so you can grow your own natural beauty garden! Here is what is included in the newest Limited Edition Garden Therapy Seed Collection available only at GardenTrends.com. 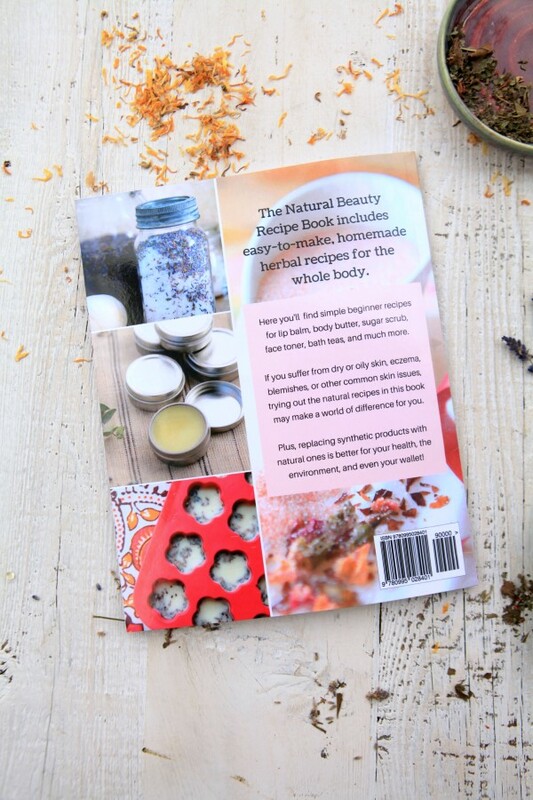 The Natural Beauty Recipe Book includes easy-to-make, homemade herbal recipes for the whole body. 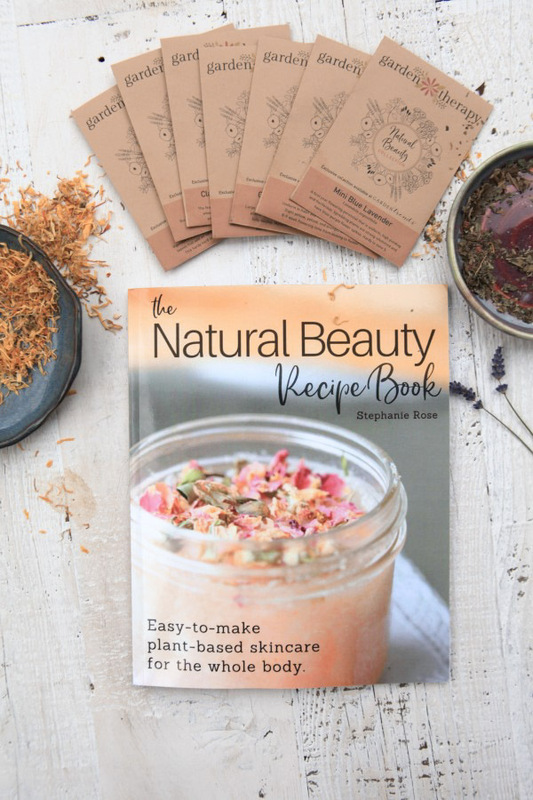 If you suffer from dry or oily skin, eczema, blemishes, or other common skin issues, trying out the natural recipes in this book may make a world of difference for you. Plus, replacing synthetic products with natural ones is better for your health, environment, and even your wallet! This book begins with a chapter outlining the different ingredients that you’ll need in your home supply: oils, butters, waxes, essential oils, botanicals, and more. The rest of the book is broken into chapters of simple beginner recipes for natural beauty. Scrubs, Lotions, & Potions covers exfoliating sugar and salt scrubs for your whole body, as well as homemade lotion, toner, face masks and even a portable hand sanitizer. Balms and Butters covers the basics of making balms like lip balm, cuticle repair, solid perfume, as well as body butter and even an all-natural vapor rub recipe for cold and flu season. Summer skin needs a little bit of extra love and you’ll find it in the chapter on Summer Skin Care. From sunscreen lip balm and sunburn lotion to bug sprays and insect bite relief, this chapter pampers your skin in every way under the sun. 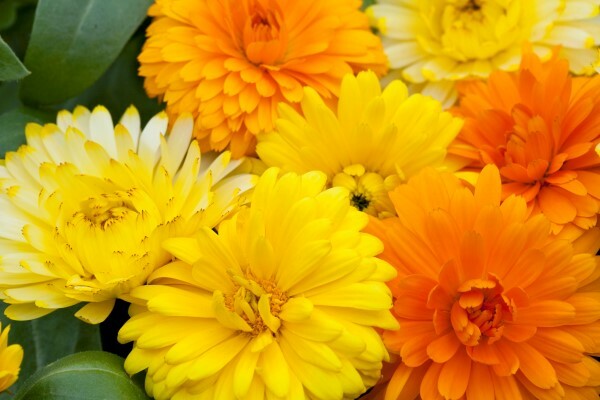 Costa Calendula Mix Calendula (Calendula officinalis) is uniform in habit and timing across the three colors [light yellow, orange, and yellow] with a quick 8-9 week flowering time from sowing to flower. Calendula is used externally for promoting cell repair, so it’s an important herb for skin. Many of the recipes in the Natural Beauty Book are made with calendula infused oil, so it’s worth growing the flowers organically at home, drying them, and making a big batch of herb-infused oil to keep on hand. Read more about calendula here. 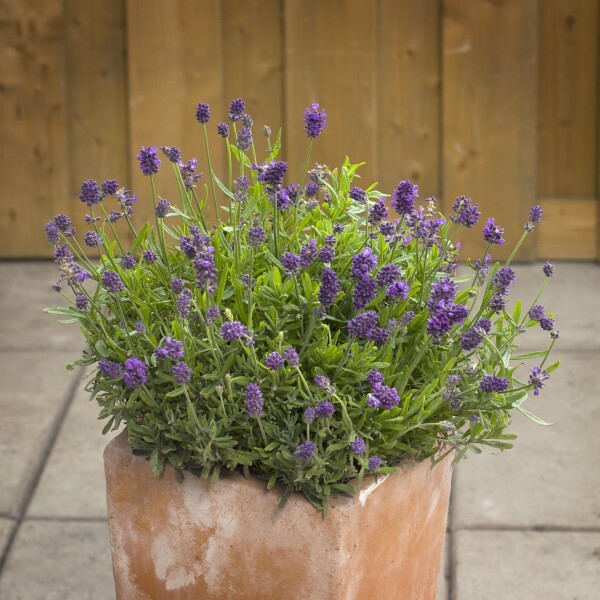 Mini Blue Lavender (Lavandula angustifolia Vera) is a first-year flowering perennial that is uniform, high yielding and floriferous. Spreading plants are strong-stemmed and with blue-purple flower spikes. Mini Blue Lavender was bred for overwintered pot production so you can start them early in the season to be ready for the garden in spring. At the end of the season, you can move these tidy container plants indoors for the winter months. Hardy to zone 5. Lavender helps to calm the nerves, so it’s wonderful on the skin, especially in the bath for relieving tension and stress. Read about how to grow and harvest lavender here. 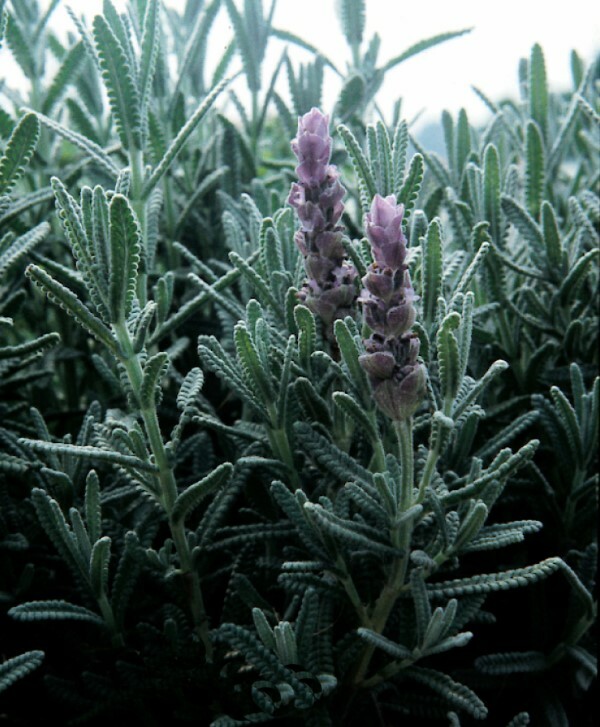 Lavender Vera (Lavandula angustifolia) is Mini Blue’s larger, very productive cousin! 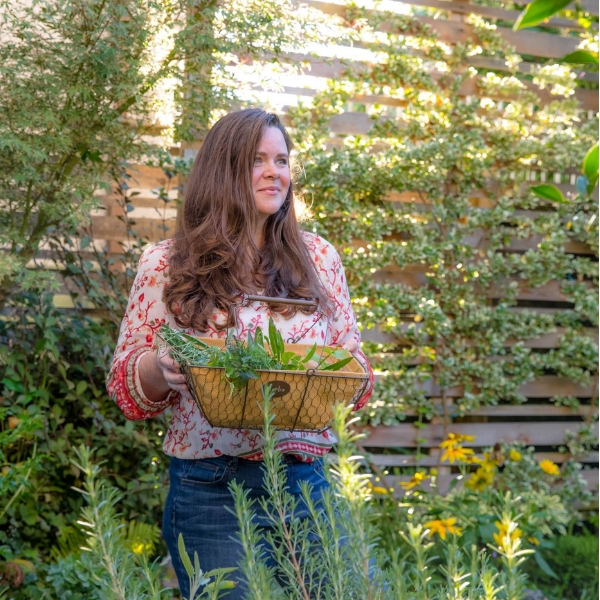 Bushy, branched, 24″ plants with gray-green, elongated leaves and lavender-blue flowers that bloom all summer. It has the same properties for plant-based beauty as Mini Blue Lavender does but this is a much larger landscape plant that I encourage you to grow if you have the space! 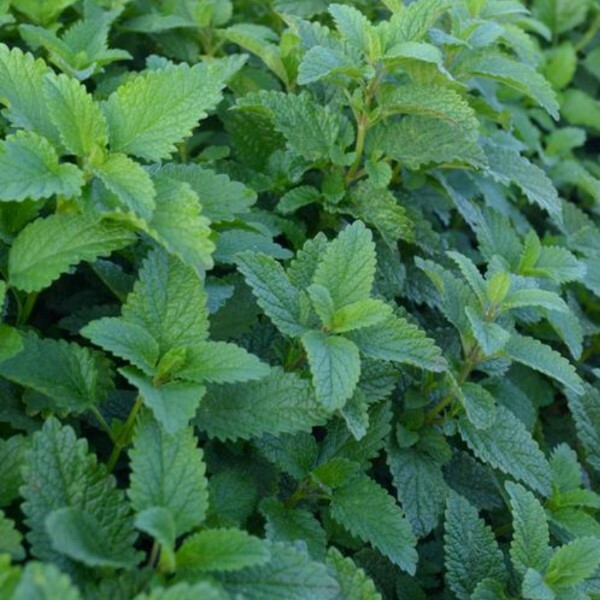 Peppermint (Mentha piperita) is a fragrant, spreading plant with a cool, fresh, minty flavor and scent. This vigorous perennial herb is best grown in containers, but don’t be afraid of mint being invasive. It is easily controlled in containers and has the unique ability to cool and calm skin while reducing inflammation and clarifying. Lemon Balm (Melissa officinalis) is a vigorous 2-3′ plant which produces broad, lemony-fragrant leaves that add an uplifting lemon scent to recipes. It is calming, antiseptic, and beautifully-scented. This hardy herb is best grown in containers and in the right conditions, it can get away from you and spread by both seed or roots in the garden. Never fear, it can be easily pulled and controlled as long as you don’t let it go to seed. As a member of the mint family, this enthusiastic grower is worth adding to your garden in containers. Goldy Double Sunflower (Helianthus annuus) has large, fully double flowers that are produced on sturdy branching plants. Flowers open up semi-double, then mature to fully double, giving you double the golden petals for drying and use in skincare recipes. The petals can be used to infuse oil or dried (like with calendula) to add color to scrubs and bath salts. 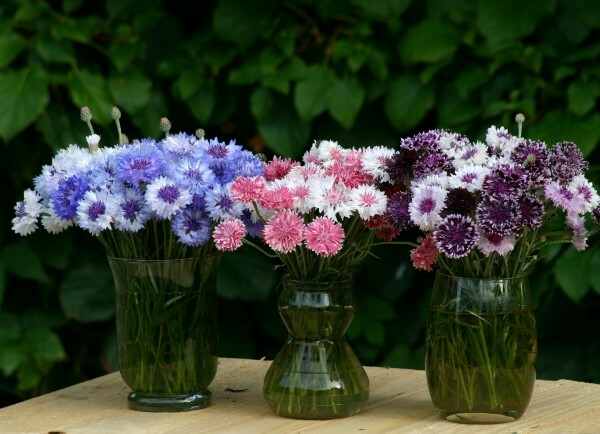 Centaurea Classic Artist Mix (Centaurea cyanus) Commonly known as cornflower or Bachelor’s Button, the feathery flowers of Classic Art Mix Centaurea make a perfect addition to mixed cut flower bouquets and skincare recipes. The feathery, blue, purple and pink petals hold their hue well when dried and can be used to add natural color to soaps and scrubs. A great direct sow flower for the beauty garden. While Centaurea is sometimes added to tea for medicinal properties, in skincare recipes its value is primarily ornamental. 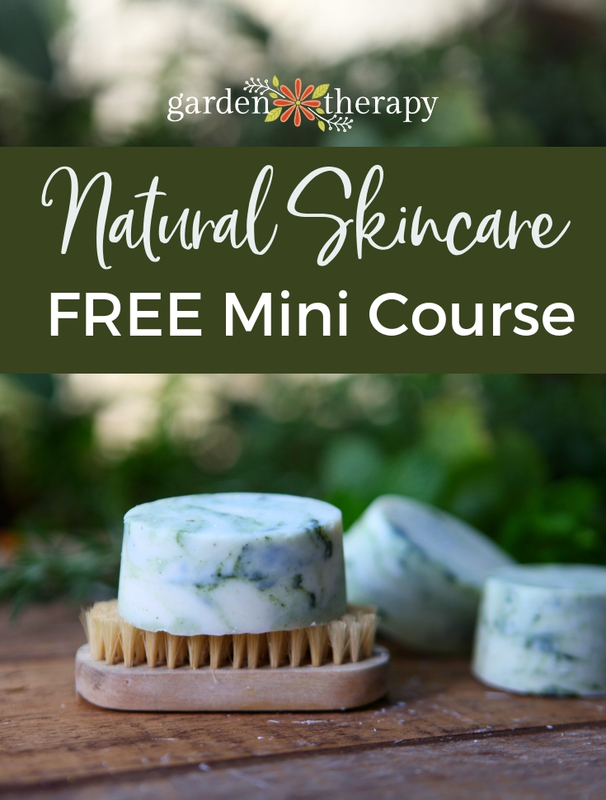 So if you are going to try anything new in your garden this year, THIS is what you should try: grow a Natural Beauty Garden using the newest Garden Therapy Seed Collection DIY Kit! 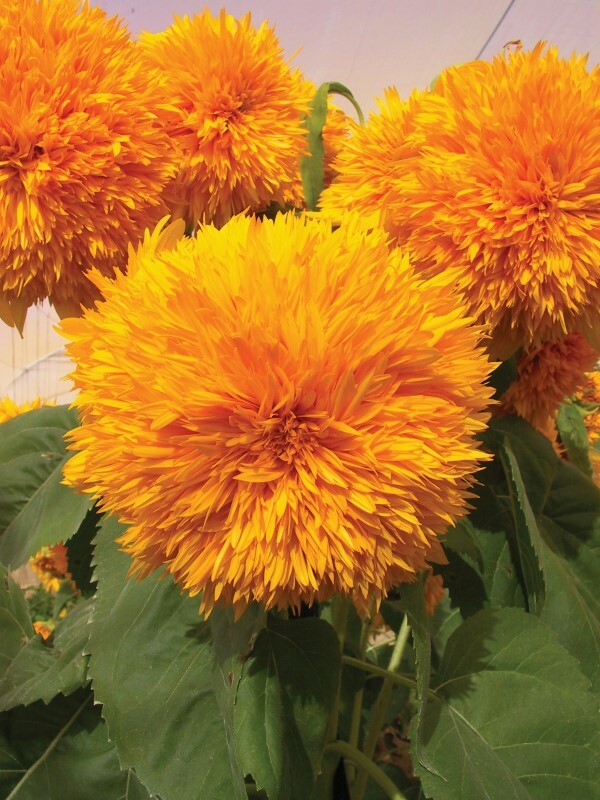 I very like Goldy Double Sunflower. Your website is really cool and this is a great inspiring article.